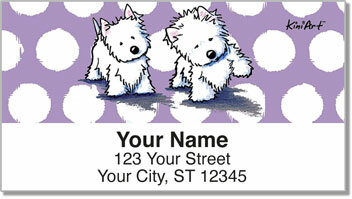 Not only are these stark-white West Highland terrier Scottish as all get out, they have a long and fascinating history! Once sandy-brown in coloring and presented to royalty as a sign of respect, these little creature were bred to be hunters and will attack any rodents in your yard. 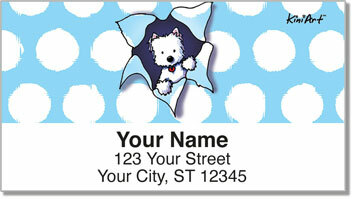 Now you can get their sweet faces and inquisitive glances rendered in colored pencils and India ink by Artist Kim Niles, creator of KiniArt. 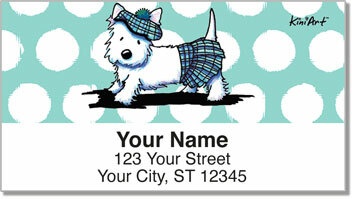 Here depicted in darling kilts and plaid hats, using these address labels will make your mail one hundred more fun and two hundred percent more adorable. 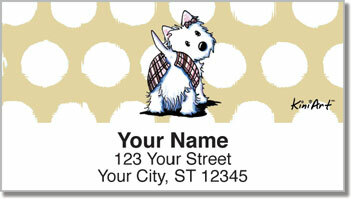 Buy these labels today and proudly declare your love for Westies!